According to the Delaware Valley Consumer Checkbook, Green Lawn Fertilizing ranks as the number 1 Reviewed and Rated Independent Lawn Care Company in the Philadelphia Tri-State area. 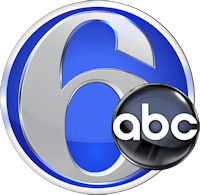 Green Lawn Fertilizing, a local lawn and pest control company, was featured on 6ABC Philadelphia’s segment “How to find the right lawn care for your money.” There article and clip focuses on how to research the proper lawn care company and how to grow a perfect green lawn with their services. These guys are great! Just one comment… “There article and clip focuses…”, it’s “Their”!